Last week, I had the wonderful opportunity to teach another class for my healthy cooking series at Draeger’s Cooking School in San Mateo, California. The class theme was “Mediterranean Picnic” and it was a great way to showcase all the fantastic produce in season right now. I had a blast with my enthusiastic students, who did a wonderful job– bravo! You can view photos from the class on The Doctor’s Spicebox Facebook page. 1. 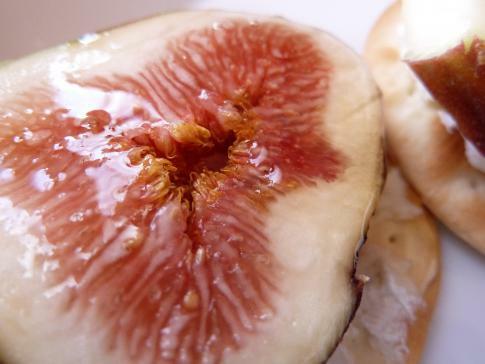 Slice figs lengthwise in half. 2. Smear 1 tsp goat cheese unevenly onto each cracker. 3. 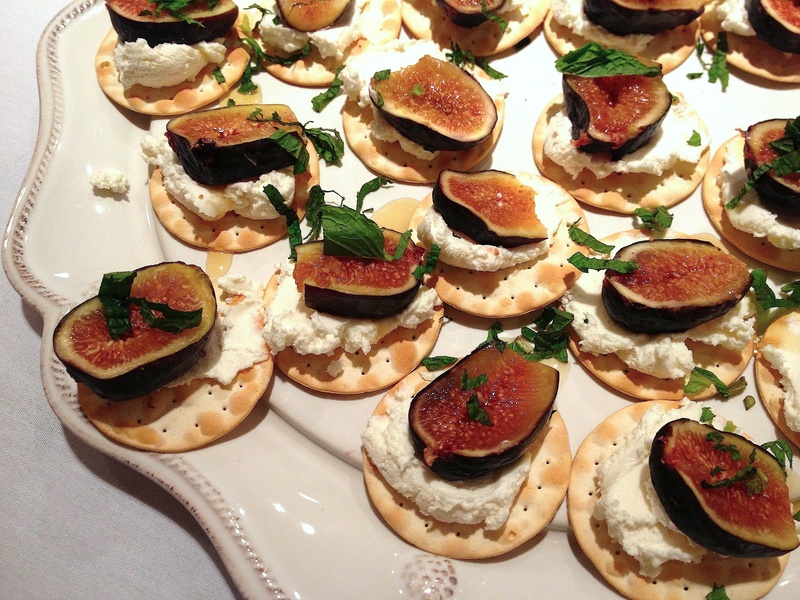 Place 1 fig slice on top of goat cheese, cut side up, and gently press into place. 4. Drizzle with about 1/4 tsp of honey, top with mint and serve immediately. For the full schedule of upcoming events, please visit: www.facebook.com/thedoctorsspicebox/events. And while you’re there, please give it a “Like” so I can spread the word! I just love fresh figs and these canapes look amazing.